Organically grown. 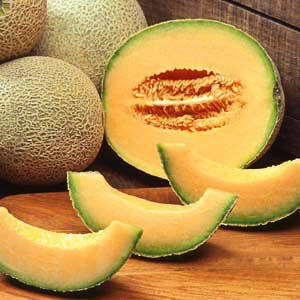 Discovered in 1923, this huge, sweet, fragrant cantaloupe type melon can weigh in at 5 lbs. It has dense orange flesh and heavily netted skin. Packet is 25 seeds.